Tell 90 yr Old Auschwitz Survivor Cy Vance Joan Illuzi NYPD IAB Fixing for Dr Fagelman's Ray Rice of Reception I was Treated Like Jew Early Stages of Nazi Germany in my opinion oh yeah this is an opinion blog. The Jewish new year has begun Rosh Hoshana and continues through Saturday this is an incredible time if you're a Jew it's very significant and I had a towel and Auschwitz survivor 90 years old about Cy Vance, Joan Illuzi and Joe Giovanetti and how they treated like a Jew in the Early stages of Nazi Germany. I got only love and support from my friend who survived Auschwitz. He is one of many who cannot believe that my Tacker has not been arrested that the NYPD threatened me but told me I had to wait till Saturday 4 o'clock on the Sabbath to be false arrested in one answer my questions are you anti-Semitic why do I have to wait four days to be false arrested. 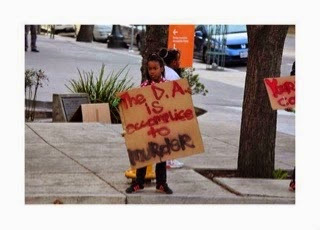 Last night I told you about what the DA a group of ADA it to me and during the high holidays unbelievable. He agreed. I told him my soul is clean. Greatly saddened me and upset me to have to tell him that I was treated like a Jew in the early stages in Nazi Germany with the Manhattan DA did to me as well see in the NYPD internal affairs fixing for savage attack by The Ray Rice of medical reception desks a violent Meyer employee paid for and protected by my opinin really sick creep Dr Andrew Fagelman and I allege he made a phone call and strings were pulled and a metaphorical gun was puts my head I was threatened corrced and with the Manhattan DA did you get to read about it in a lawsuit. I'm filing a notice of claim hopefully beginning of October name in the original defendants plus Bill Bratton the new head of internal affairs, Cy Vance, Joan Illuzi, Tiana Walton, Berry investigator, joe Giovanetti. I'm taking a serious legal actions in October and then after file the notice of claim I hope to take a rest for little bit. All of Det John Vergona's cases would be examined and the NYPD Internal Affairs don't want that especially right now. I have nypd reports, video, medical reports, evident to everyone to video the false cross-complaint her letter threatening me she signed it to her NYPD fixers and so much evidence internal affairs so I looks like the DA is now involved but I'll let you figure crime and it's all about damage control for the NYPD as well the doctor did not fire my attacker. Caring folks warned me not to go by myself and make sure I have video equipment with me because in the opinio of many DA and the NYPD are so corrupt and they work together to protect corruption and criminal behavior especially by the NYPD like in my case including internal affairs. I'll be protesting outside of the Manhattan DAs office as much as I physically can you can see my leg is in the cast. Note you'll see the two photos of the blackeye one appears to be the left which it is and the other appears to be the right which it isn't the reason it looks like it's the right is I took the photo at an Apple Store on a computer that flick damage detective Vergona refused to meet me in person since he was confused and question me about that I said if you don't understand me in person see the injuries to my eye my neck and my arm but he refused he made up his mind he was gonna make this go away and what I'm alleging is that the DA is fixing it because if they arrested my attacker like they let me to believe what's going to happen for second-degree assault then they feared perhaps that all of detective work on his cases would be examined as well to supervisors because I gave them please reports were alleged my attacker and the NYPD lied in the police reports an internal fares was absolutely 100% aware of this. So my case is proof the NYPD are fixing not just that's a crime and that the Manhattan DA is like internal affairs protecting the blue wolf corruption as often as I can whenever they can and I caught them in this circumstance and of course I'll come up with every excuse and I allege lies if need be as a group it's me a single woman lied and hit and attacked lied about by a group of women in the video they lied as a group, NYPD commited crime of coercion lied as a group and now I'm alleging I was abused by a group of assistant district attorneys but if I can get them all under oath will they be willing to lie under oath and commit perjury? Do I fear for my safety yes I do we know the police can actually murder someone and say it was an accident or even lie and set the person up and that the DA has protected the police over and over and over even if using at times to put cases in front of the grand jury. I'm filing an ethics complaint against Cy Vance on Monday and the rest of his staff involved in my case as well as refusing to investigate NYPD coercing me and the fact that fear for my safety not only from the doctors office the violence but from the NYPD and I did not want to end up like Eric Garner - The group of ADA at the complaintis going to take me time but the Cy Vance one Will be something that DSK's lawyers may be interested in reading. I'm sending this to the FBI to all the press and to the press office at the Manhattan DA and I know these are crafty people that will do anything they can if they can to harm me and get away with it and just like my attacker and women in the video all lie about me but I have evidence and documents and audio recordings of ADAs so stay tuned. It will take many more deaths...I was told for me to get justice it would take my death and then even then how many black men have been murdered by police and their families have not gotten any justice? Cy Vance being yelled down outside NYU Law for what he really is in my opinion a corrupt misogynist DA happy a critic of his an outspoken Woman has been savagely punched kicked hair ripped out and I have audio of one of his assistant district attorney's threatening me which I am interpreting as a threat to keep me silent to shut me down and to not pursue justice which I am because the statute of limitations for false cross-complaint is five years and a judge and honest DA and people laugh and tell me there are no honest DA but an honest DA can extend the assault statute and get her arrested for asault and also arrest the NYPD detective who commited the crime of coercion. Mayor de Blasio Fire Bratton NYPD Violent Attack on Pregnant Woman!!! Are de Blasio Bratton more than insensitive to Hispanics, Blacks and Women? The short list? 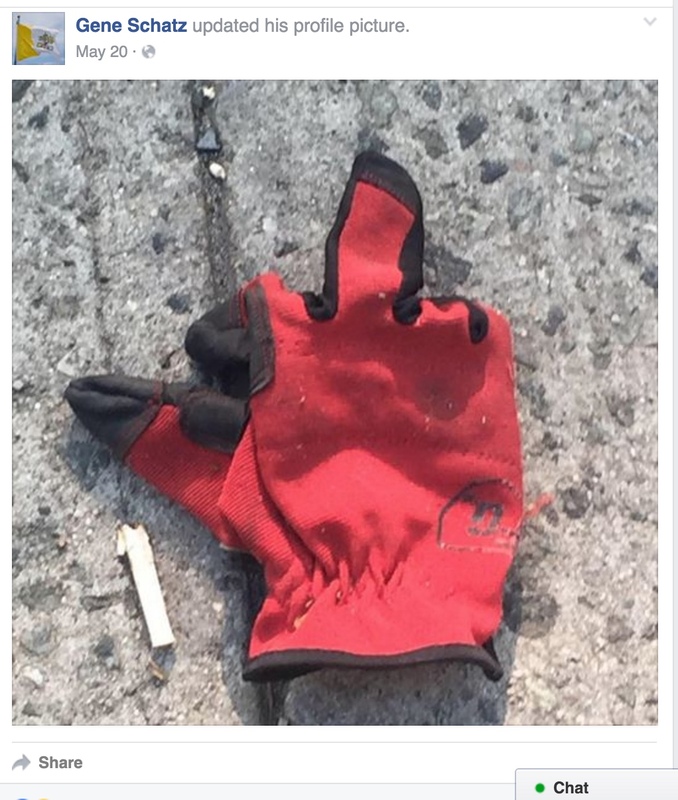 The mayor has to fire Bratton! Susan Howard high priced cruel joke on the People and take John Miller too. Choke holds including chief esposito choking OWS google photo and de Blasio gives esposito double dipper huge bucks job & pension!!! Deblasio do something or become a 1 term mayor!!!! De Blasio Bratton stonewalled my request for an honorary reinstatement for NYPD hero Joe Sanchez set-up to be fired because NYPD wanted him out. 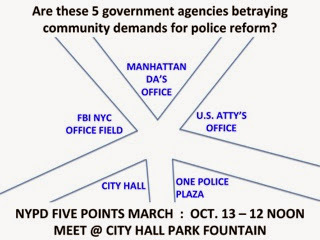 Yes the Manhattan DA how many more people how much more is it going to take for us to get a commission into police corruption and how internal affairs cannot police the police!!! Watch youtube. Cy Vance Violence Torwards Women, NYPD Dr Fagelman's Attack No Arrest! Jerry Nadler on NYPD Murdering Eric Garner to Hospitals A DISGRACE! Watch two videos below the one I filmed you can't see the running punch that she landed to my head specifically Mayeye because the camera goes black and after should grab my hair trying to pull me down the hall to throw me in the elevator. 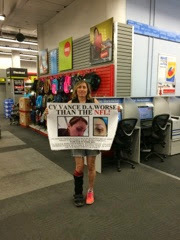 Almost 2 years and my attacker the Ray Rice a medical reception desk has not been arrested yet. That sure makes the Manhattan DA the NYPD, Dr Andrew Fagelman who did not fire her and internal affairs look far worse than the NFL! Ray Rice apologized Delita Hooks still lying including she and NYPD IAB police reports and Delite signed a letter to her NYPD fixers threatening me get again warning me not to come forward the report assault charges again or else she would file yet another (false) cross complaint read to me by IAB lt Mary O'Donnell and she didn't think that was a crime wrong or inappropriate threatening me and the signed letter warning me not to come forward. I'm still receiving treatment for the attack at Dr. Andrew Fagrlman 's by Delita Hooks. The whole she made in my retina from a running punch to Mayeye and then grabbing my hair jerking my neck back to trying drag me by my hair to the elevator quest permanent damage that has to be monitored especially the hole in my retina that developed into a macular pucker. Ask the Manhattan DA about the two videos. Ask them is it normal for a receptionist office manager to come out from behind a desk file later patients rights repeatedly been violated patient's body repeatedly be permanent damage to their eye and neck I can barely turn my neck I can turn it but it's really painful in the range of motion is limited. I am traumatized and damaged for life not only from the doctor before the New York Police Department an internal fares but ask the Manhattan DA about the video below and why they think she is not been fired or arrested. If they say I drop charges they were notified that I was threatened that I feared for my safety which is stated in the police report and then I can prove that the NYPD lied and police reports they threatened me and force me against my will to drop charges. Ron Kuby letter shorthand for my client is being coerced to drop charges against her well but it gets better my attack or threatens me yet again in a signed letter that internal affairs read to me but they didn't think that was strange or wrong. That is how corrupt a moral and criminal the internal affairs and amoral. Two videos -- in my case the NYPD and Internal Affairs all saw the running punch to my head -- Deilta Hooks aimed for my left eye making a hole in my retina....she did not succeed in her goal to knock me out and drag me by hair to the elevator floor -- she didn't get me to the ground but she did a running punch as I held bags. Coming sooner the banner at key locations around NYC pre the March???? Manhattan DA even worse than NFL Ray Rice of medical reception desks Delita Hooks NYC: Running punch to my head at Dr Andrew Fagelman's not fired or arrested Dr. Fagelman Assault Receptionist Delita Hooks Attacks Patient False Cross Complaint NYPD Fixed! Vid 4 second highlights VineThe Ray Rice of medical desks and the NYPD and Internal Affairs did Dr Andrew Fagelman 155 Spring St a favor since he did not fire the violent lying receptionist. At least Ray Rice did not complete lie including in police reports and in a signed letter to his NYPD fixers like Delita Hooks did. Watch a receptionist office manager get paid to punch a patient a running punch to my head and than tried to drag me by hair to the elevator. Not fired or arrested and the Manhattan DA is like the NFL but worse in my opinion. NFL Ray Rice like DA, NYPD, IAB Dr Andrew Fagelman YouTube of Delite's Running Punch to My head Trying to Cover-up VIOLENCE Towards Women? Yes I am a victim of a running punch to my head -- violence towards women but guess what by a woman and her male MD Dr Andrew Fagelman paid her for her time repeatedly violating my patient rights and my body! The NYPD did him a favor threatening me and making me even more fearful for my safety and well being forcing me to drop charges committing the crime of COERCION and stay tuned because their is the Manhattan DA that I allege is like the NFL. The NFL Knew about Rice Knock-out Like Manhattan DA Dr Fagelman's Delita Hooks Running Punch to My Head No Arrest NYPD COERCED Me Cy Vance even knows????? The DA pretending I wasn't coerced to protect the blue wall of CORRUPTION? Hey Cy Vance why else would I drop charges? I didn't want to end up like Eric Garner or alive but with even worse damage to my neck and eyes during the false arrest by dirty cops. I allege Cy Vance knows about my video just like the NFL knew and did nothing. That is the truth about violence towards women even when it is a woman doing the violence. Dr Andrew Fagelman's receptionist Delita aka Delita Hooks did a running punch to my head than tried dragging me by my hair not fired or arrested! Manhattan DA like NFL? Horrific and FYI Dr Fagelman's receptionist watch this! I wasn't a spouse but a patient a running punch to my head to my left eye and than she grabbed my hair trying to drag me down the hall.